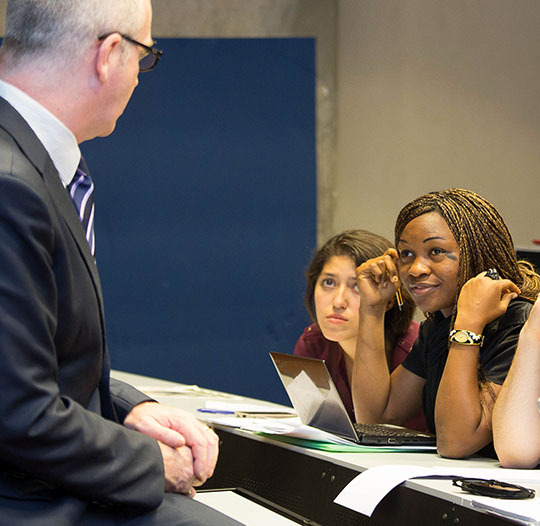 Case studies, simulation exercises, personal and team projects in connection with the business world and tutorial classes in small groups will be used to develop students’ knowledge, know-how and soft and intercultural skills. To make it easier to adjust to these new teaching modes, personal meetings with a teacher as education coordinator will be offered during the Bachelor’s course. IÉSEG is committed to constantly adjusting its teaching methods, in line with students’ new learning pace and patterns. 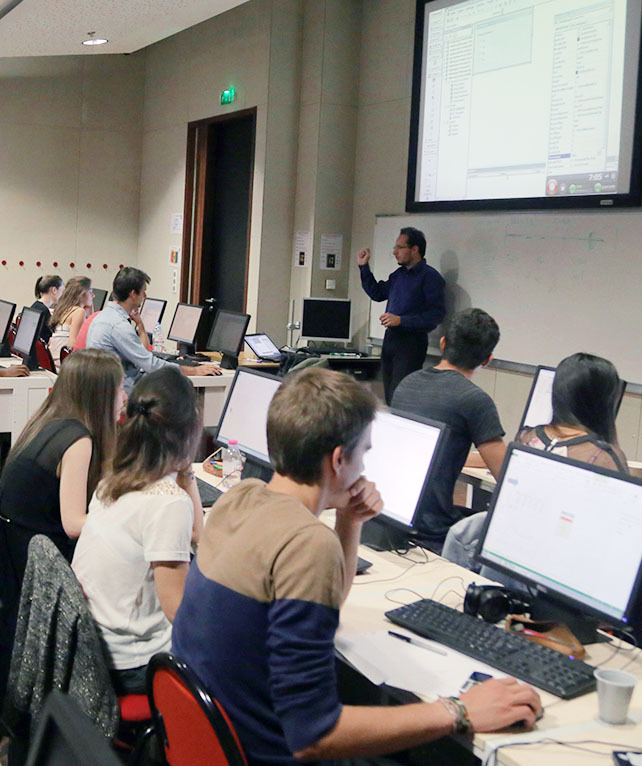 This is the reason why IÉSEG has founded a center dedicated to educational innovation – the CETI (Center for Educational and Technological Innovation). The CETI permanently cooperates with teachers, helping them incorporate new technologies into their courses. The CETI also encourages the dissemination of educational innovations, such as « blended learning » or the development of new types of teaching media (videos, podcasts, etc.). The CETI is also engaged in research to assess the impact of these innovations on students’ learning quality. Our students can get access to a library of more than 300 e-learning courses available in English and French wherever they are and whenever they want. The « 7 speaking » e-learning platform also helps them improve their English, using written, audio and video formats on the latest news. All these educational resources and teaching aids are accessible via the e-learning gateway of IÉSEG which was implemented and is administered by the CETI. The Cultural Diversity Passport introduces students to the notion of cultural diversity to help them better recognize and respect their own culture and the culture of others. It is compulsory for all bachelor students who must pass two components: an academic course and the International PEER Activity which involves a series of guided interactions with someone who is culturally different. 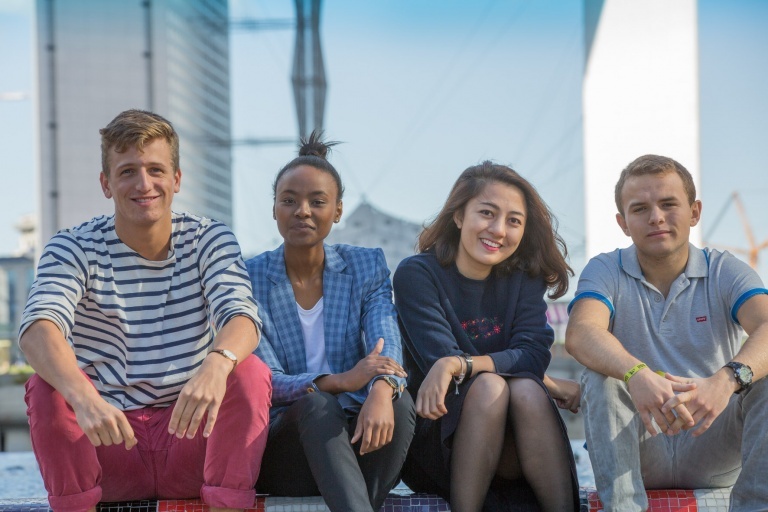 As an optional part of the passport, students are encouraged to participate in one of the many multicultural projects proposed at the school.The Cultural Diversity Awareness Badge involves the same components as the passport, but is for international exchange students during their semester(s) at IÉSEG. The Cultural Diversity Certificate is an optional certificate, which students can obtain during the master program. It leads students to a level where they can consciously start to reconcile cultural differences and root these reconciliations in the way that they communicate, work and manage themselves and others on a daily basis. Students have to follow the “Managing Cultural Diversity” module and four electives with an explicitly intercultural/diversity theme. These electives have been selected from the course offerings in the different tracks. Students also either write a master thesis or complete an internship with an explicitly intercultural/diversity theme. The certificate also involves students doing two IDI (Intercultural Development Inventory) profiles and establishing an individual intercultural development plan. In addition to the above competence development pathways, the members of ICIE are also offering various courses on inter/cross-cultural issues.